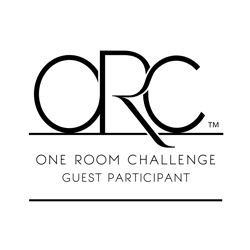 Welome back to the One Week Challenge! 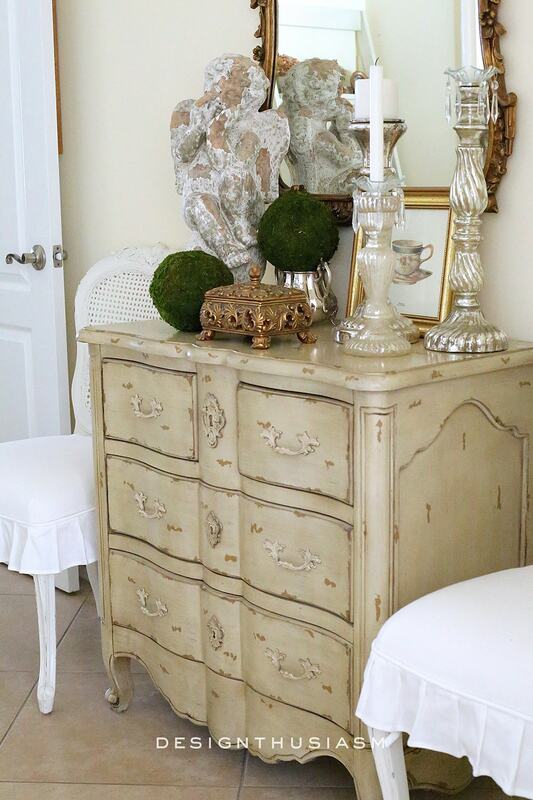 This is Week 3 of the challenge to transform a room in six weeks and I’ve spent the last few days styling a foyer vignette on the chest in the back entryway. 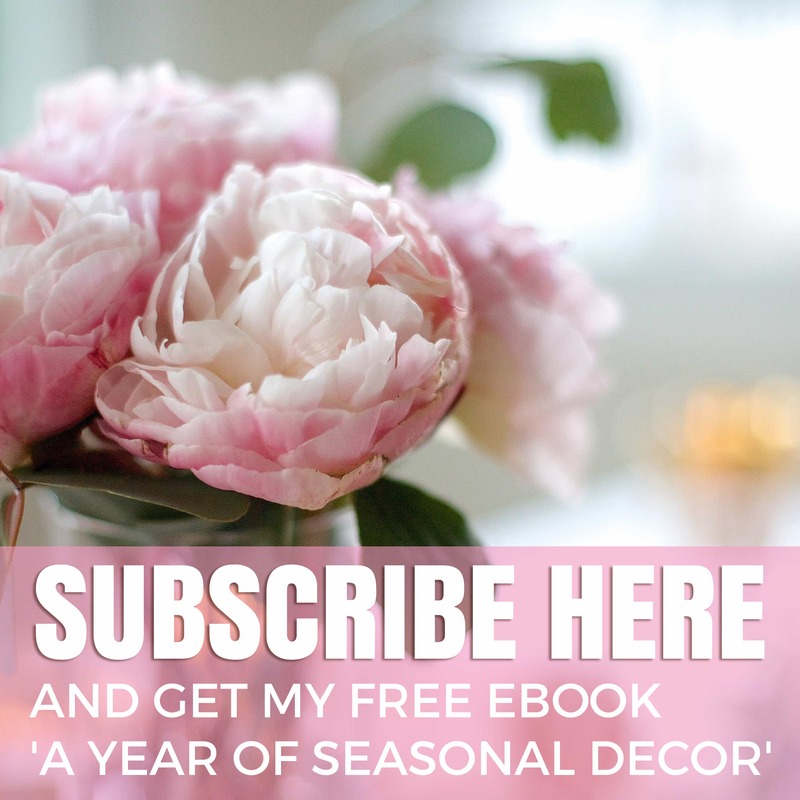 If you missed the first two posts you can catch up here. 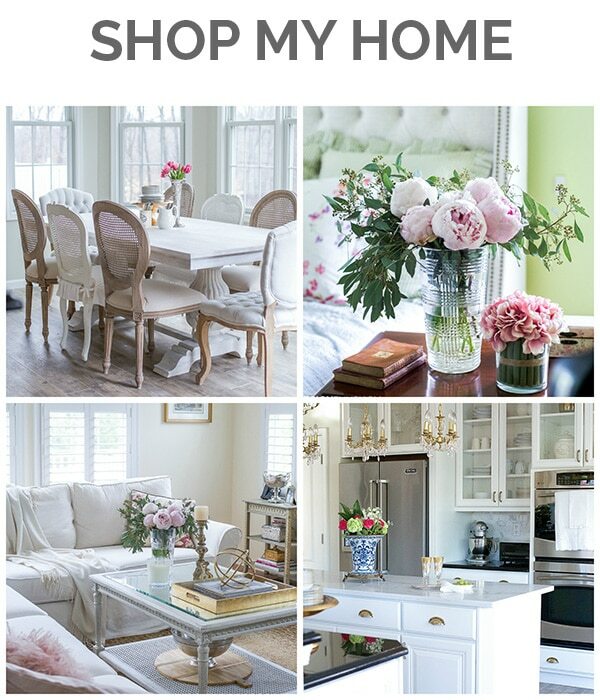 For Week 1, I showed you my vision and plans for the space and in Week 2 I revealed the essential furniture pieces. Now I’m moving into the more decorative phase where I begin to accessorize. My vision for this space coincides with my overall design sense, as I try to ensure incorporating all of the key elements that define my style. 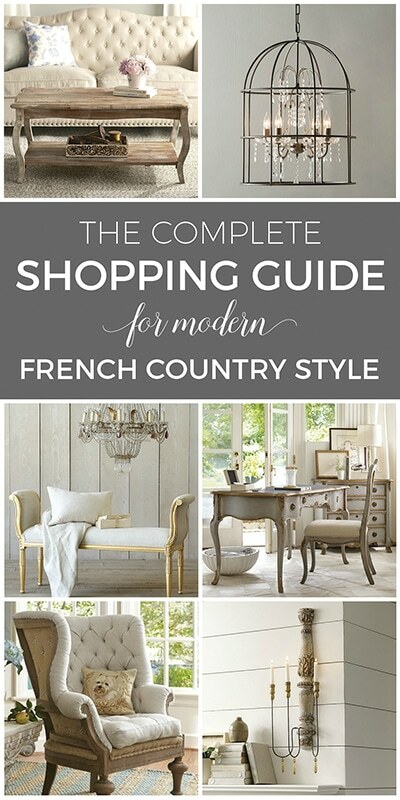 Most of my favorites are duly represented, with gilding and patina leading the charge. 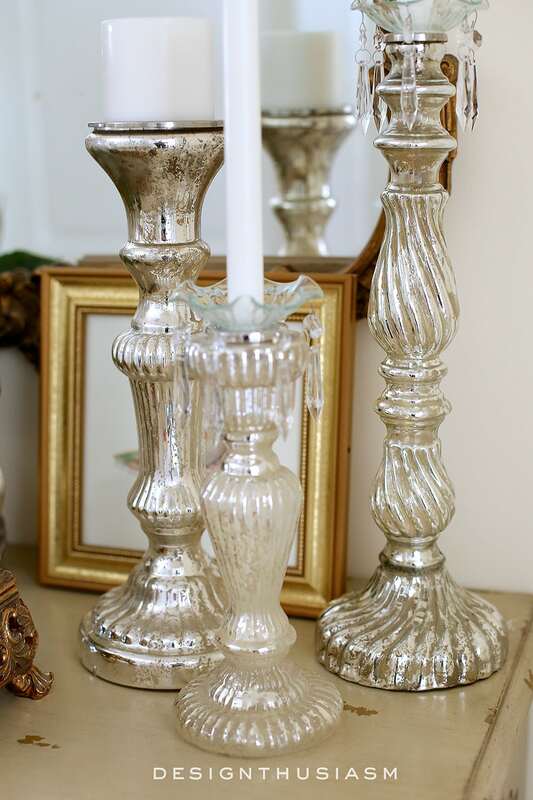 The three mercury glass candlestick holders lend a note of shimmer, which balances nicely against the more aged and worn components. Crystal bobeches take the theme one step further. 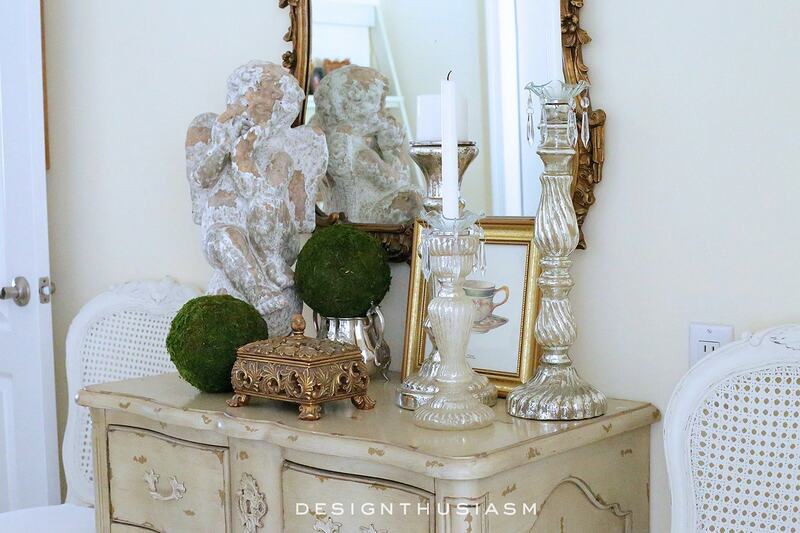 The palette is soft and nearly neutral, giving the vignette just the mood I was hoping for. 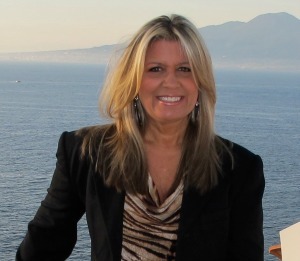 I’m striving for fresh and current, while channeling a look that honors the past. 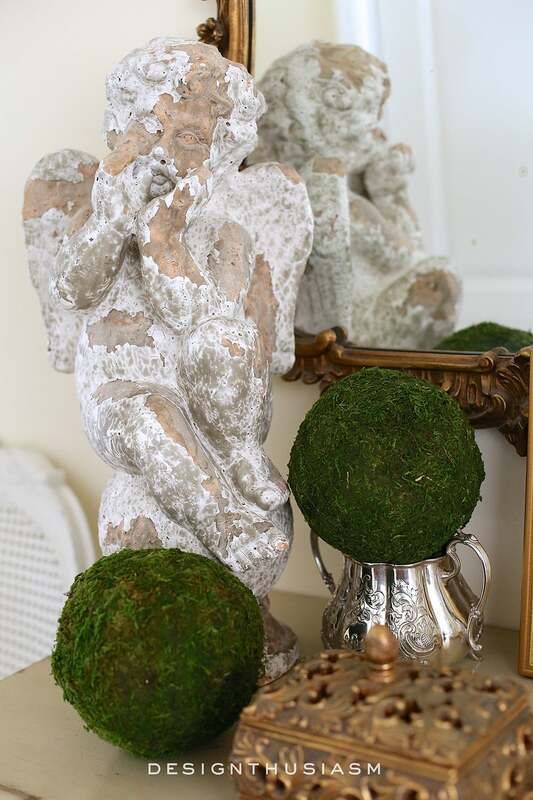 The mossy orbs are a lovely way to add greenery to a small vignette. This chest is quite small and there are no windows in the room, so it’s difficult to keep fresh flowers here. 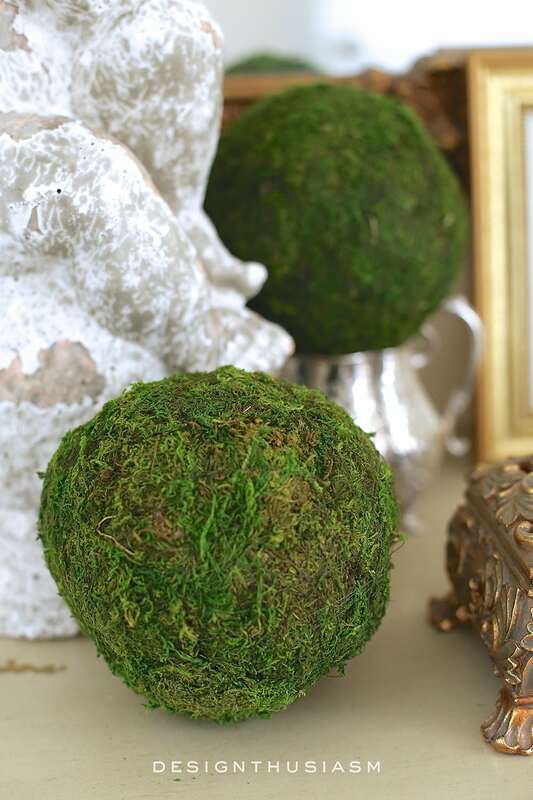 The inclusion of moss keeps the grouping from looking too sterile and colorless. The mix of materials and textures offers the interest I was looking for. 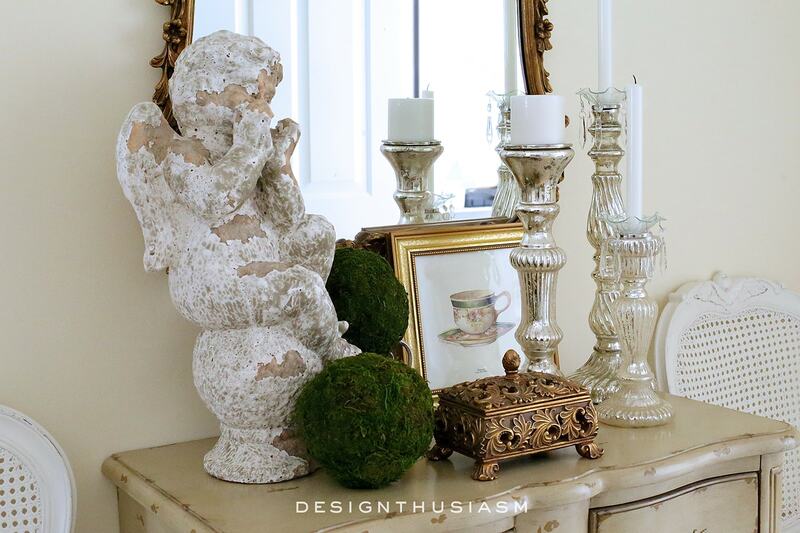 The garden statue is one of my favorite pieces and I think it gives the vignette, as well as the entire space, its essential character. 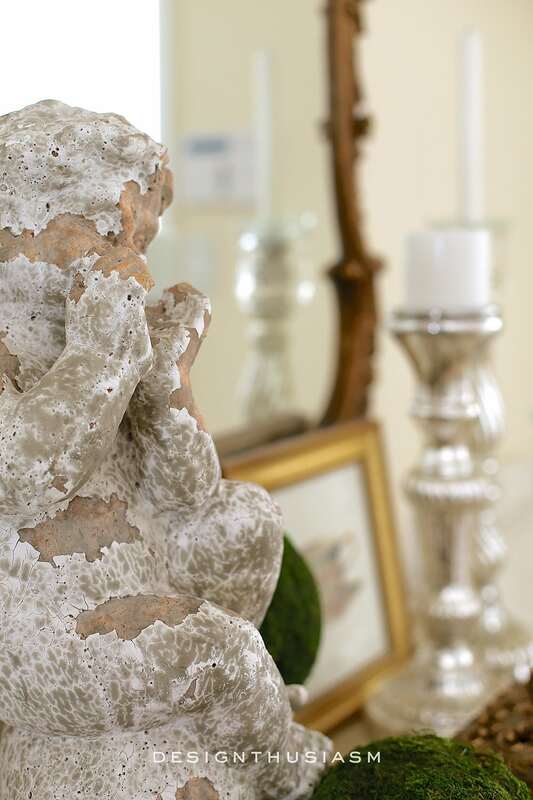 I’m utterly smitten with chippy patina and will be looking for more of these vintage statues. 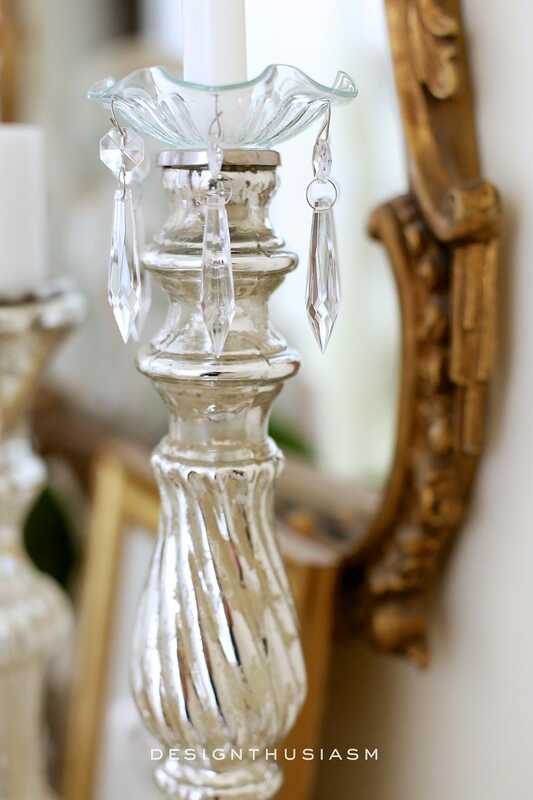 The crystal and mercury glass works so nicely playing off the warm-toned gilded mirror. 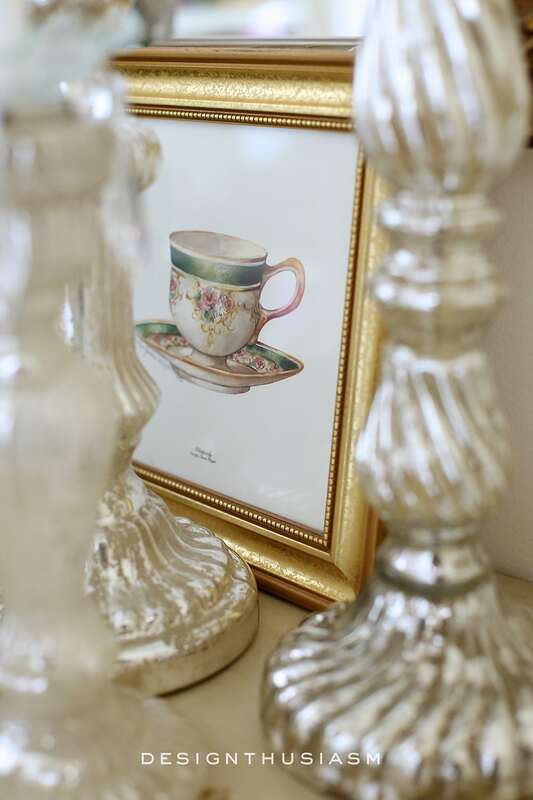 Peeking out between the candlesticks you can glimpse the little teacup painting I’ve tucked against the mirror. The gentle floral pattern on the china is a nod to one of my defining elements. 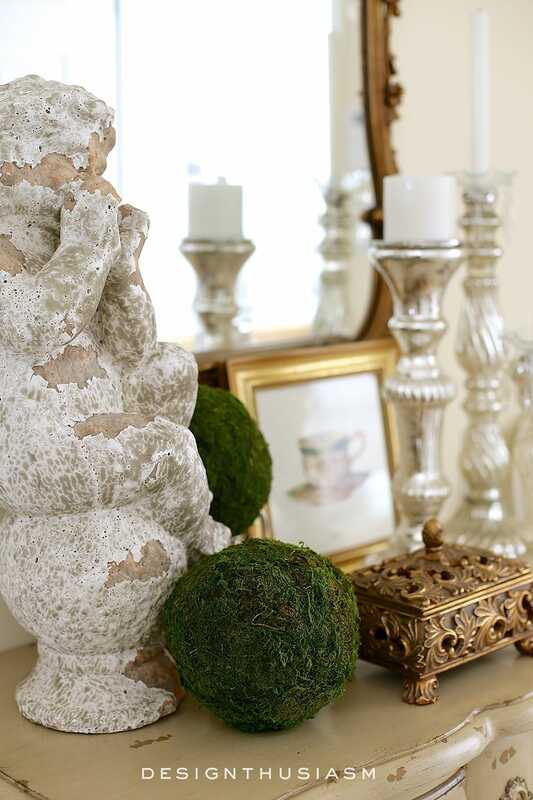 A vintage silver sugar bowl is put to good use, raising one of the mossy balls to a more varied height. This is precisely the type of vignette that makes me smile when I arrive home, as it includes so many of my favorite elements. Next week I’ll move on to another section of the room, so be sure to stay tuned as the room progresses. Please also take the time to visit some of the other links in the challenge, which can be accessed by clicking on the logo below. So nice and clean look. This is beautiful. 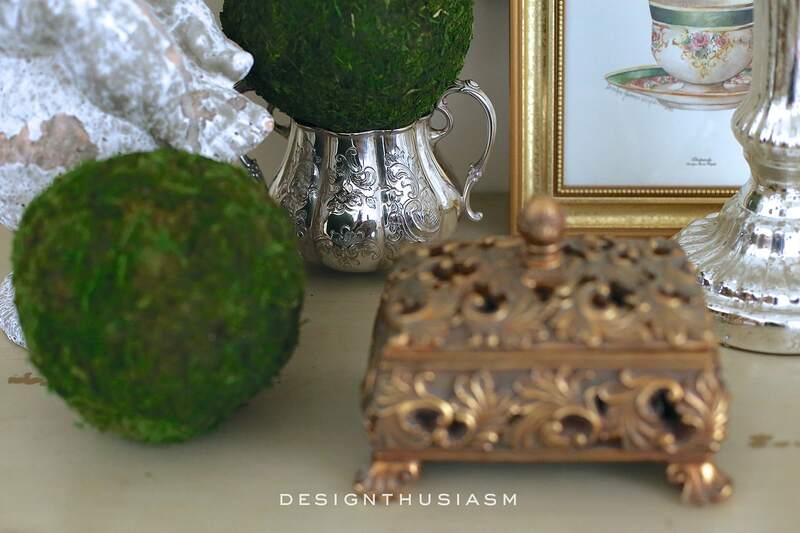 I love that you’ve incorporated gold, mercury glass, chippy and mossy textures all in one spot. Hope you’ll link with us at Thoughts of Home on Thursday. We’d love to have you. You achieved your desires. Just beautiful, Lory! 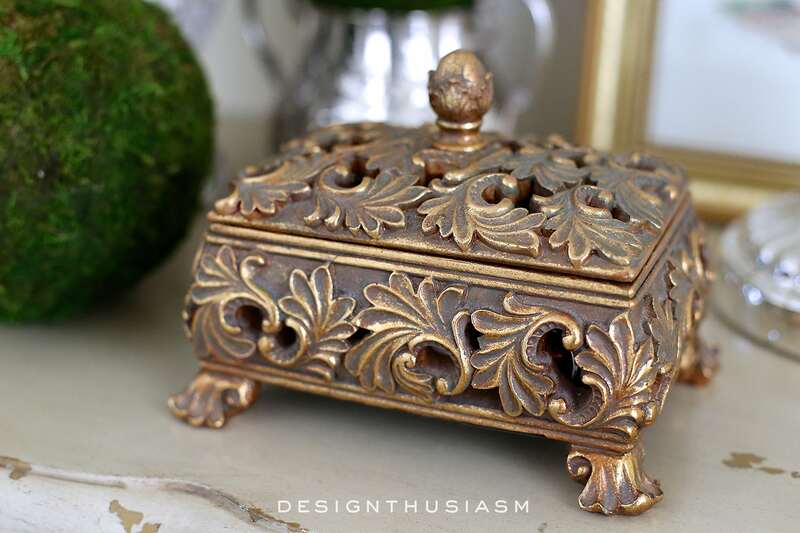 I love the gold box idea for your keys, too–great way to disguise the utilitarian items. We just throw ours in a drawer container. Sorry about the slow response–I’ve been helping out my cousin who is going through chemo, and then again for another week after her surgery next week, so things have been hectic. 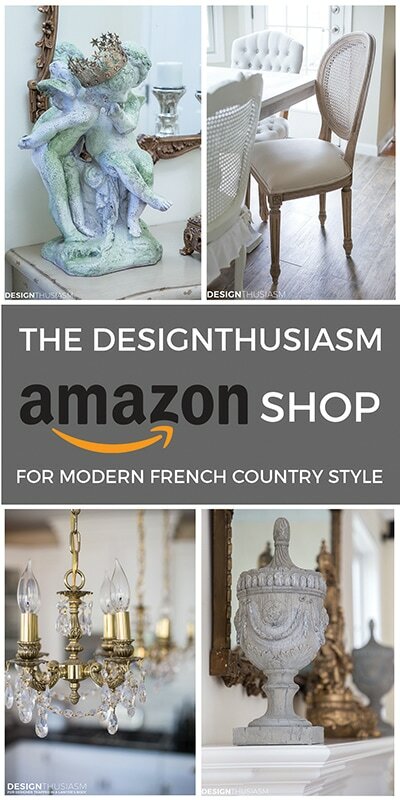 Know you will enjoy the visual every time you enter your home.